A friends-to-lovers romance with a dash of unrequited love and a splash of second-chance romance, Lauren Blakely takes this favorite trope and gives it her own unique spin in Birthday Suit. She uses flashbacks to give readers a peek into the history of this couple, and it isn’t all sunshine and decadent chocolates. There is pain in this couple’s past, there is a shared tragedy, and there is longing mingled amidst the happy memories. Leo and Lulu met in college, and he was instantly smitten. But fate had other ideas, and it was Leo’s best friend, Tripp, who wound up sweeping the effervescent Lulu off her feet, leaving Leo the third leg in their stool. Not only did he get a front-row seat to their blossoming relationship, but he also fell in love with Lulu—unbeknownst to her or Tripp—right along with Tripp. Try as he did, he wasn’t quite able to get over her completely, but he did let her go. Blakely did a fantastic job blending the past with the present to give readers an understanding of their history, and in those scenes, my heart broke a little for Leo. Fast forward a few years, and fate steps in again, placing Lulu and Leo in each other’s orbit once again. They slide easily back into the comfort of their long-time friendship, and Blakely works her magic here with a slow-burning, heart-racing, utterly swoon-worthy romance. I especially loved how she used a fun activity, something that was a piece of their past now playing a key role in their present, to help this couple reconnect. I’m always impressed by Blakely’s attention to detail, and she definitely didn’t disappoint in that department here. Those little elements add texture and interest to her stories, and I find that I’m always pulling up Google to learn more about something she’s mentioned in one of her stories. I absolutely love this about her storytelling! Romantic, sweet, simmering with chemistry and possibility, Birthday Suit was the kind of story I got lost in easily and one that I just didn’t want to put down. A beautifully poignant, heartfelt love story between endearing characters combined to create an addictive and entertaining story that kept me smiling and made my heart both ache and race. I loved every single word of this charming, captivating romance. 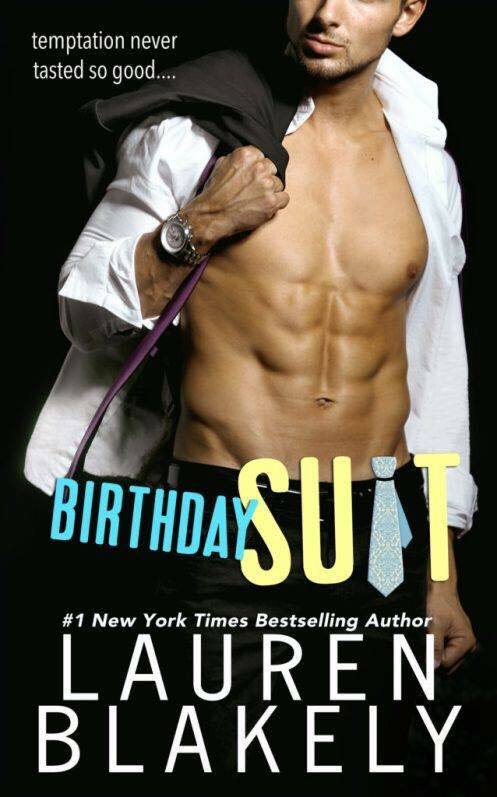 Birthday Suit by Lauren Blakely gets five smooches from me!